Organized by the Hong Kong Trade Development Council (HKTDC), three trade fairs will be staged in April at the Hong Kong Convention and Exhibition Centre (HKCEC), namely the HKTDC Hong Kong International Lighting Fair (Spring Edition) on April 6-9, followed by the HKTDC Hong Kong Electronics Fair (Spring Edition) and the HKTDC International ICT Expo on April 13-16. The three fairs will feature more than 5,000 exhibitors from around the world, including more than 10 pavilions from Guangdong-Hong Kong-Macao Greater Bay Area cities, to showcase a huge range of innovative products and cutting-edge technologies. This year's Spring Electronics Fair will feature some 3,000 exhibitors from 21 countries and regions. The highlighted Tech Hall comprises five themes, including the new AI & Voice Recognition zone. The Asia-Pacific AI Business Alliance (AIBA) pavilion, presented by Tuya and its global partners, will showcase a series of cutting-edge smart-home products that are empowered by the global Internet of Things (IoT) platform, including voice- and cloud-controlled electric window blinds, temperature and humidity sensors, air purifiers and kitchen smoke detectors. Other thematic zones will include the AR, VR & MR zone, Connected Home zone, Robotics & Unmanned Tech zone and the e-Health & Wearables zone. Featured zones include the Smart Lighting & Solutions zone and the newly launched Innobuild zone. The former will showcase the industry's latest smart lighting products. Among the exhibits, DIMON will present its NANO lighting control system that was specially designed in the United Kingdom. The system can transform basic room controls into an IoT-powered, wireless-controlled solution for simpler, more cost-effective and energy-saving operations. 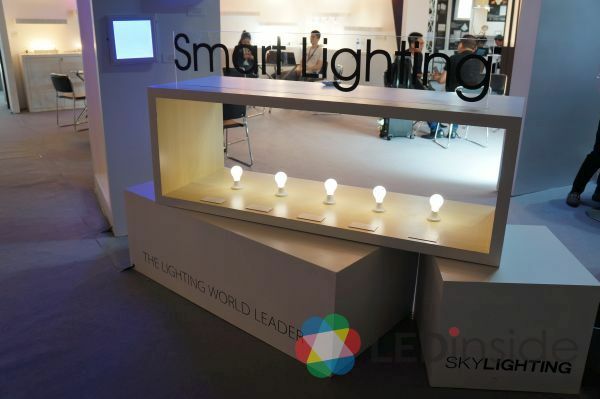 The zone will also feature exhibitors concentrating on the IoT Lighting Supply Chain, organized by Shanghai Pudong Intelligent Lighting Association, showcasing some of the industry's leading players, including Tuya and Broadlink, to demonstrate innovations such as IoT platforms, AI solutions and smart lighting systems.